In his quest for the historical Muhammad, Zeitlin's chief aim is to catch glimpses of the birth of Islam and the role played by its extraordinary founder. Islam, as its Prophet came to conceive it, was a strict and absolute monotheism. How Muhammad had arrived at this view is not a problem for Muslims, who believe that the Prophet received a revelation from Allah or God, mediated by the Angel Gabriel. For scholars, however, interested in placing Muhammad in the historical context of the seventh-century Arabian Peninsula, the source of the Prophets inspiration is a significant question. It is apparent that the two earlier monotheisms, Judaism and Christianity, constituted an influential presence in the Hijaz, the region comprising Mecca and Medina. Indeed, Jewish communities were salient here, especially in Medina and other not-too-distant oases. Moreover, in addition to the presence of Jews and Christians, there existed a third category of individuals, the Hanifs, who, dissatisfied with their polytheistic beliefs, had developed monotheistic ideas. Zeitlin assesses the extent to which these various influences shaped the emergence of Islam and the development of the Prophets beliefs. He also seeks to understand how the process set in motion by Muhammad led, not long after his death, to the establishment of a world empire. Who was the Sacrificial Son? "This book will be of value to serious students of Islamic history as well as educated readers generally. Both groups will be well able to navigate the historical and historiographical landscapes of the rise of Islam – with the foundational qualities that enabled it to develop into a world religion. 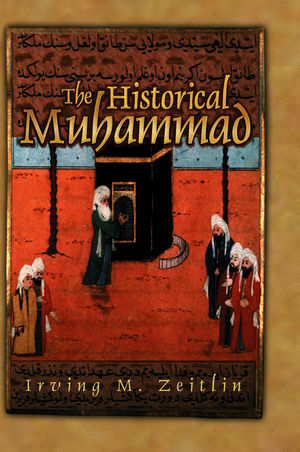 The pursuit of certainty in discerning and understanding Muhammad’s historical biography and the rise of his religious movement is ongoing, and Irving Zeitlin has provided a clear, balanced, and plausible account using traditional sources and modern scholarly theories and interpretations." "It is very important for Muslims and non-Muslims alike to understand the importance of the Prophet Muhammad because he is so central to Islam. The Historical Muhammad contributes significantly to the discussion of the life of the Prophet, a subject highly relevant to our time."